Last Friday, I was able to attend Nature Republic Philippines' grand opening at SM Fairview. I was surprised that they opened a branch in this area when there's already one at SM North EDSA, but I'm thankful nonetheless. I didn't get the name of the priest who graced the event and blessed the boutique. It was too cute of him to check out the accessories section of the store, hehehe! 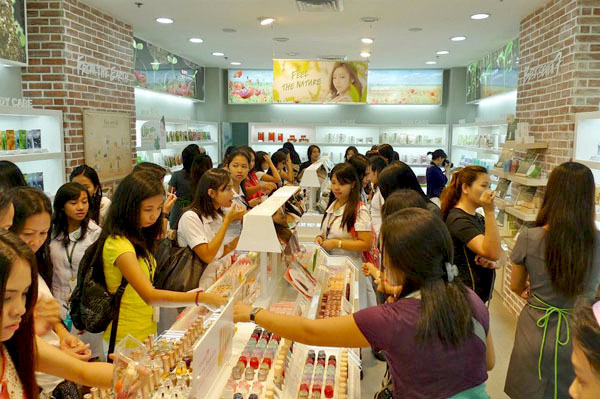 It didn't take long before the store got bustling with eager girls! 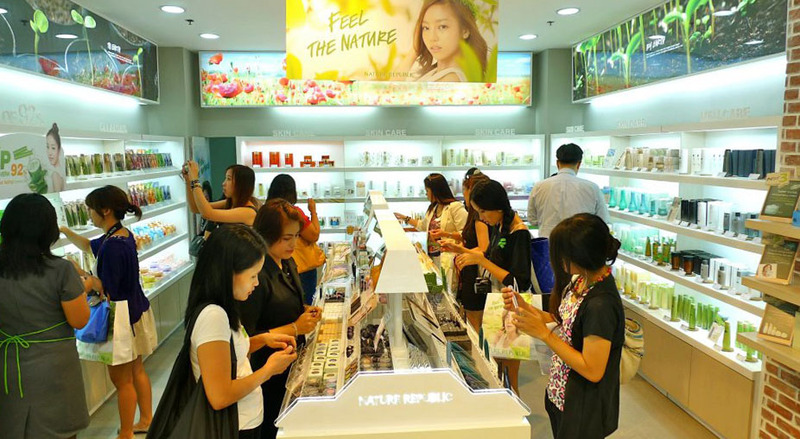 Like most Korean products, the brand combines state-of-the-art technology in beauty with high-grade natural products to create a whole line of skincare and makeup. 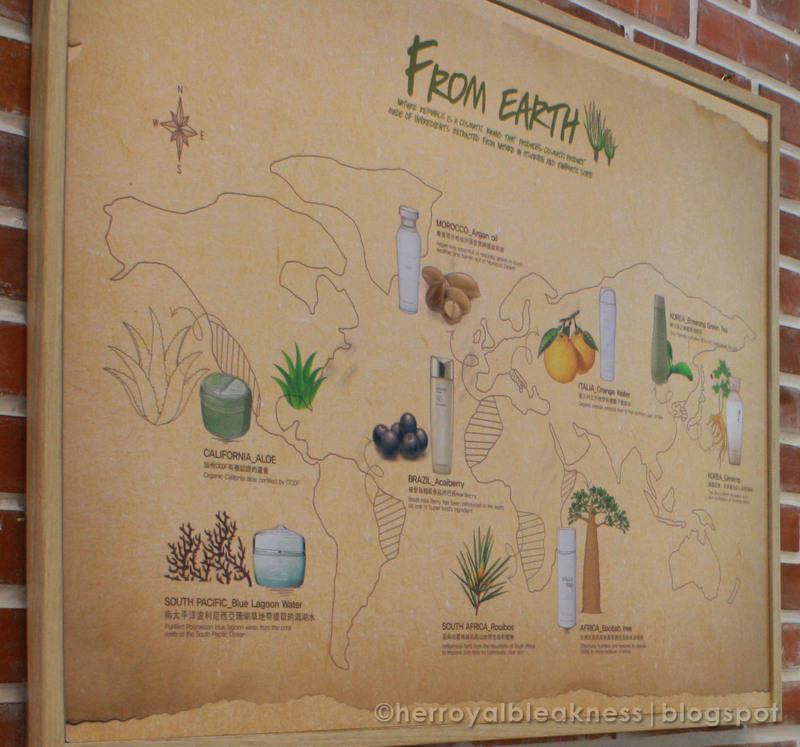 I think what sets them apart from the other brands is their ability to utilize a longer list of hard-to-find and unique natural ingredients. 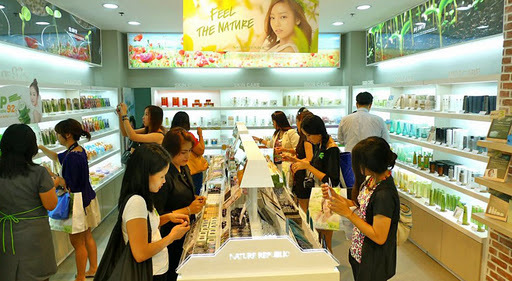 Aaaaand, Nature Republic has tons of good products, MUA must-haves even, that are more affordable compared to the other Korean beauty brands. Here I am checking out the famous Aloe Vera tub on the wall display. I already told you that this ran out very, very quickly, didn't I? Also, I'm happy that I was assisted by the shop's helpful SA. I will be sharing tons of stuff soon about their awesome ingredients. 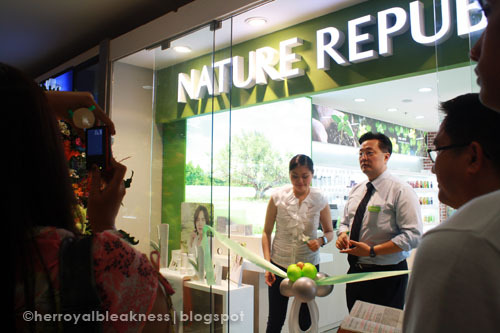 I also have more photos of what's in store for you when you visit Nature Republic! Right now, you may want to check out their Facebook page or Twitter for updates! I look so EMO on that corner while I secured some shots for the blog! I enjoyed the entire time I was inside the store! I will not hesitate to secure a membership card once I'm done testing the stuff I bought (so far, I'm lovin each and everyone of em!!!). 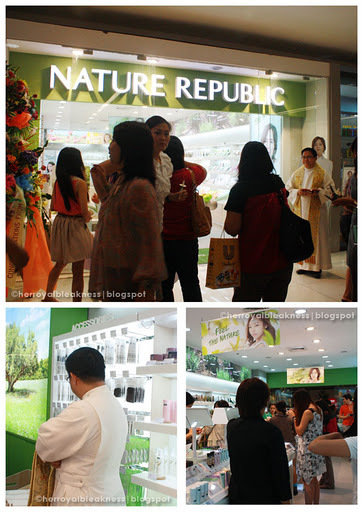 I'm pretty sure most of you are hoping that they'd open Nature Republic in Ortigas or Makati... let's all cross our fingers that they soon do. hahah I wasn't able to go alam mo naman "Manila" Girl ako! hahahaha Anyways, hope to see you soon! i didn't even know that they have opened in north edsa na! i've always been curious of their jelly primer e. time to drop by north edsa na! 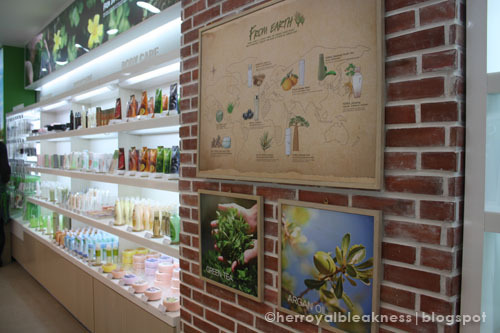 I'll try to check out their jelly primer and compare how it fares versus the aloe vera. Feeling ko the aloe vera might just do a perfect job in priming the face! 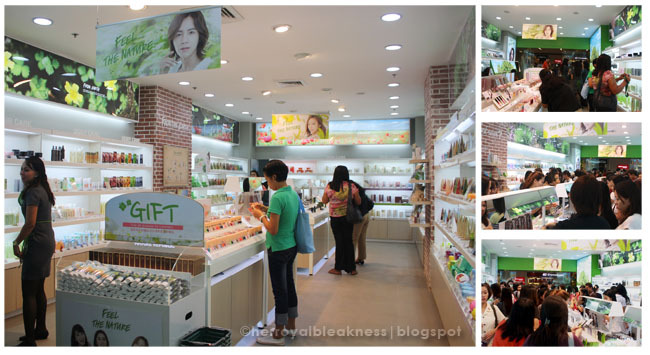 korek, parang TFS din ang store layout hihi. yey do post reviews! baka ma enable mo ako sis hehe. mayroon daw silang crackle polish tama ba? Yes, yes, they have 5 colors of crackle/shatter in counters :) there's light pink, white, silver, black, and dark red. Nice sila sis! hmn, sige i will put off buying other OPI shatters muna hihi will try this. sana meron pa next yr haha!